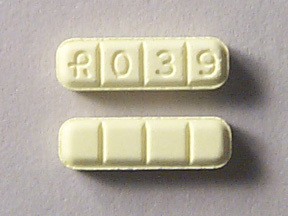 Alprazolam is a common benzodiazepine in medical settings that is also taken for recreational purposes. It’s normally used for anxiety and panic disorder, though it has antidepressant properties. The drug’s recreational effects include anxiolysis, disinhibition, and euphoria. It was the top benzodiazepine in the US within a few years of its introduction. The substance has remained one of the most common psychoactive medicines. A lower peak plasma concentration is seen with the controlled release form, which may have the benefit of reducing the sedation. The primary negative effect in medical settings is drowsiness, which declines after the first few weeks. Other negatives that aren’t as common include fatigue, slurred speech, and memory impairment. Some users find it’s very recreational, while others prefer alternative benzodiazepines. It reliably offers anxiolysis, relaxation, and sedation. Euphoria is also possible to varying degrees. Amnesia is a real possibility with strong+ doses. Alprazolam is mainly used as an anxiolytic and in the treatment of panic disorder, but it’s sometimes used in patients with depression as well. The most common recommendation is to restrict its use to 2 – 4 weeks. It’s regularly used for much longer periods. Most studies have examined its effects over a period of 4 to 8 weeks at doses ranging from 0.5 to 3 mg. There is evidence for it being more effective than placebo. Its efficacy is basically the same as diazepam and lorazepam. Cognitive behavioral therapy (CBT) is often just as useful, with longer-lasting effects and a lack of physical dependence. For those who can go through CBT, it may be a better option. Over a period of six weeks with an average dose of 1.9 mg, it was as effective as 18.7 mg of buspirone. Alprazolam worked faster, but their ultimate efficacy was the same. This was supported in a second study. It was able to reduce anxiety to the same degree as diazepam. The studies have usually been for under 8 weeks, with the most common result being that alprazolam is similar to other benzodiazepines. It’s as efficacious as tricyclic antidepressants (TCAs) and more effective than trazodone. Placebo or alprazolam were given for 8 weeks. After three weeks, the alprazolam group was using an average of 6 mg per day. The drug was clearly more effective after four weeks, but that usefulness declined by Week 8. A study with 1168 people compared it to imipramine, a TCA. Alprazolam worked faster, but they ended up being equally effective after eight weeks. The average dose was 5.7 mg.
Behavioral therapy was more effective over a period of 15 weeks. Alprazolam was used at an average of 4.6 mg and didn’t significantly differ from placebo. It was tested in combination with exposure therapy in patients with agoraphobia. That combo was compared to alprazolam alone, exposure therapy, relaxation therapy, and placebo. Alprazolam’s effects didn’t differ much from placebo, but they did manifest faster. Exposure therapy wasn’t enhanced by the drug. Exposure therapy was found to be superior based on its efficacy and because alprazolam’s sedation persisted through the trial. The review looked at alprazolam’s use in patients with agoraphobia in comparison with behavioral therapy. While they were similar for the panic and anxiety symptoms, behavioral therapy was superior for the phobia aspect. There’s some evidence that SSRIs are as effective or more effective while coming with fewer side effects and a lower dependence risk. One paper suggested it could remain useful for many patients with minimal dose escalation. When participants in a 6-week trial were asked about their treatment 1.5 years later, 78% were still using alprazolam and hadn’t increased their dose. Those patients still reported occassional panic attacks and agoraphobia. Alprazolam might be better as an antidepressant than other benzodiazepines. It’s at least as effective as TCAs, according to some research. Other studies have found amitriptyline and imipramine are superior. A Cochrane review found it was as useful as TCAs, but it needed to be compared more with SSRIs. There were concerns about the quality of the studies involved in the review. Even though there weren’t many short-term side effects, the potential for dependence could tilt the scales in favor of other antidepressants. A study found it could reduce general anxiety symptoms but wasn’t useful for PTSD overall. 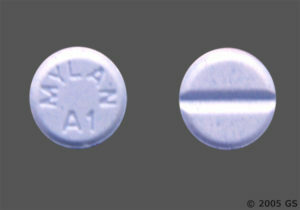 Alprazolam is impairing when taken acutely. Using it over long periods is at least partially protective against the impairment. It may be most problematic when trying to maintain your performance for over 30 minutes, such as with extended highway driving. One test found 0.5 mg impaired performance on a 60-minute vigilance test. 0.8 mg impaired speed and accuracy on a 20-minute vigilance test performed 3.5-hours after administration. 20 healthy volunteers were given 1 mg. They then had to complete an on-road driving test, during which they were instructed to maintain a steady position for 100 km at 60 mph. Their performance was severely impaired, leading to greater side-to-side weaving and excursions out of lane. Impairment in the Standard Deviation of Lateral Position (SDLP) test was similar to 0.15% BAC. Of the 20, 6 had to stop the test due to falling asleep behind the wheel. There is a dose-dependent impairment of acquisition and retrieval of newly learned information. Long-term memory isn’t notably impaired at common doses. Immediate and delayed recall and recognition are impaired over 0.5 mg.
Just as sedation declines with use, impairment appears susceptible to tolerance. After 1-3 weeks of daily use, some research indicates there is no longer a negative effect from the drug on most tests. In one study, delayed recall was impaired after 3 and 10 days of treatment. The impairment went away by 24 days. Effects like agitation and aggression are known to occur in a small set of users. Paradoxical reactions are more common in those with preexisting aggression and psychiatric conditions like bipolar disorder. Concomitant alcohol use may raise the chance of these effects. 14-year-old male had excessive anger, irritability, and was assaulting people. He said he wanted to die and planned to commit suicide by cutting himself. This behavior began 10 days into his alprazolam treatment (1 mg/day) for anxiety. There were no other disorders and no other medication was involved. All of this resolved after he was switched to sertraline. Alprazolam differs from many other benzodiazepines in that it contains a triazole ring. This makes it a triazolobenzodiazepine. It’s a GABAa positive allosteric modulator. 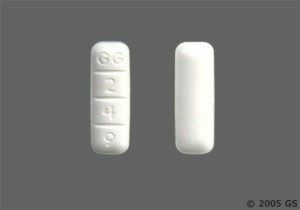 The substance binds nonselectively to the benzodiazepine receptor on the GABAa receptor complex. Complexes affected by the drug include the a1 subunit (sedation/amnesia) and the a2 subunit (anxiolysis). By operating on the complex, it facilitates greater GABA binding and activity. This leads to inhibition around the brain. Decreased cerebral blood flow can be seen. Alprazolam is associated with greater extracellular dopamine in the striatum, something that might differ from some benzodiazepines. The drug easily crosses the blood-brain barrier. It is primarily metabolized in the liver by CYP3A4. 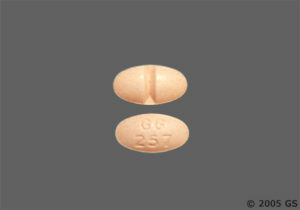 There are at least 29 metabolites, of which 4-hydroxy-alprazolam and a-hydroxy-alprazolam are the primary ones. Both of those metabolites are present at low concentrations and have a lower BZ affinity. They don’t really contribute to the pharmacology. 80% of alprazolam is excreted unchanged by the kidneys. 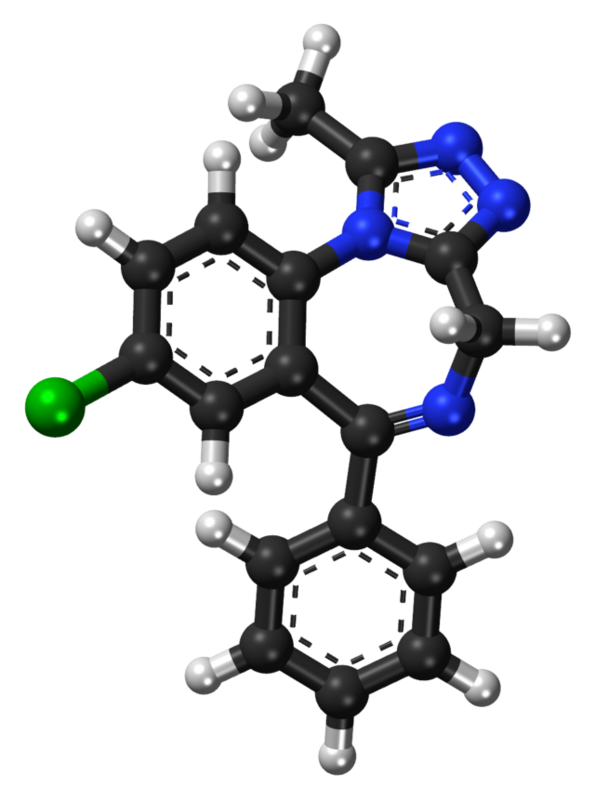 The patent for alprazolam was filed by Upjohn. 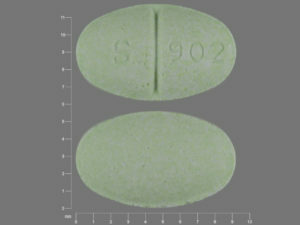 While research on the drug was taking place, other benzodiazepines were already on the market and growing in popularity. Animal research showed it was more potent than diazepam and offered anxiolytic effects. It was the first triazolobenzodiazepine to be approved for anxiety. Studies and case reports showed the substance could be useful in panic disorder and other conditions. It also became clear that physical dependence occurs in medical settings following weeks of use. There was interest in using it for adolescent anxiety. Emergency room admissions involving the drug increased by 50%. 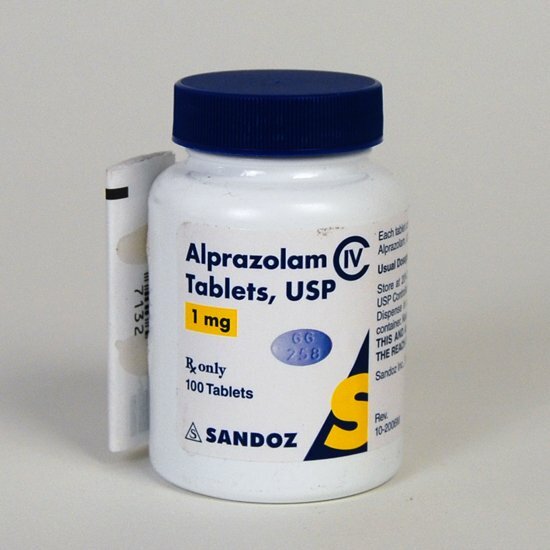 Alprazolam was the top benzodiazepine in the US and one of the top prescriptions overall by 1988. Approved in the US for panic disorder. There was a rise in its use for panic disorder, despite there being first-line treatments, like SSRIs. Prescriptions for alprazolam increased 71% in the US. They increased 99% in Australia. Australia rescheduled it to Schedule 8 due to a rise in illicit use and concerns about its relative toxicity and misuse potential. It’s the most prescribed benzodiazepine in the US and one of the most popular in recreational settings. It is illegal in many other countries when not prescribed. You should check your local laws to verify its legal status. Among the countries that treat it as a controlled drug are Australia, Canada, and the UK. Most of the deaths and near-fatal cases have involved polydrug use. Taking it with other depressants, which is quite common, is particularly dangerous. It appears to raise the chance of congenital abnormalities during the first trimester. It can be detected in breast milk. The primary acute concerns are amnesia and cognitive impairment. Severe overdoses could lead to respiratory depression and coma. It’s far more dangerous when combined with other depressants. 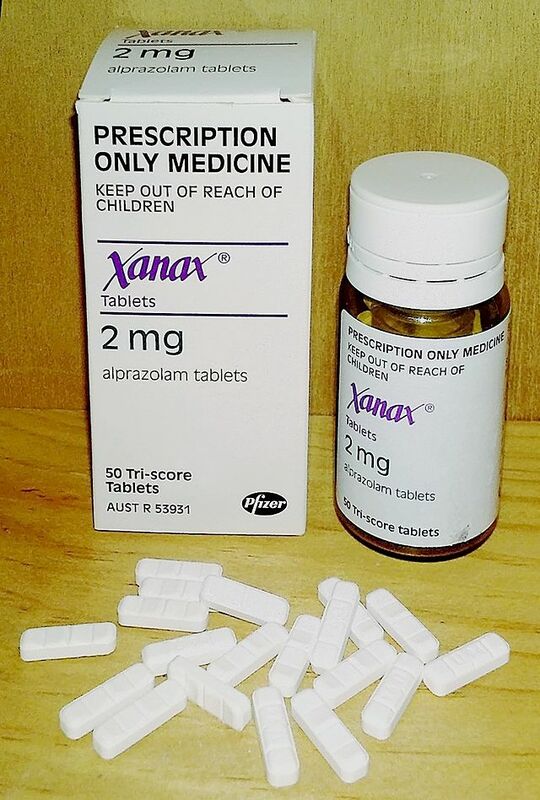 Many people attempt suicide each year using alprazolam, but the vast majority are unsuccessful. It’s unusual for alprazolam alone to be found in a drug overdose death. Other depressants are normally involved. Tolerance builds over time and is associated with lower GABAa benzodiazepine receptor density. In one study, receptor density was lower after 24 days of 2 mg daily. 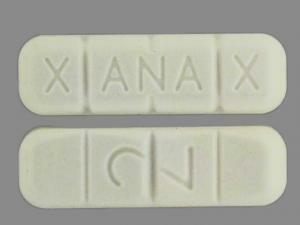 Withdrawal includes insomnia, anxiety, agitation, depression, restlessness, seizures, and delirium. It reliably occurs afters weeks of use, with the severity affected by your daily dose and how long it’s been used. Tapering over a period of weeks or months is recommended. During this time, withdrawal may still appear, but it’s usually less severe. Tapering reduces the chance of rebound anxiety. Alprazolam does lose its effectiveness as the dose is reduced. Research has found 4-week tapers still result in rebound anxiety/panic in 25-30% of patients. Combining the drug with CBT may reduce the withdrawal and rebound symptoms. A woman used it for 8 weeks, rising from 1 mg to 6 mg daily. This was then reduced by 1 mg every 3 days. A headache developed on the 12th day of dose reduction. The patient’s final 1 mg dose was taken on Day 13. On Day 14, she had a severe headache and a tonic-clonic seizure. 68-year-old man with depression became delirious after two days without his alprazolam. He had been taking 1.5 mg per day. Diazepam and haloperidol were ineffective in alleviating the delirium. Alprazolam re-administration was effective. 43-year-old female had been on diazepam for years. 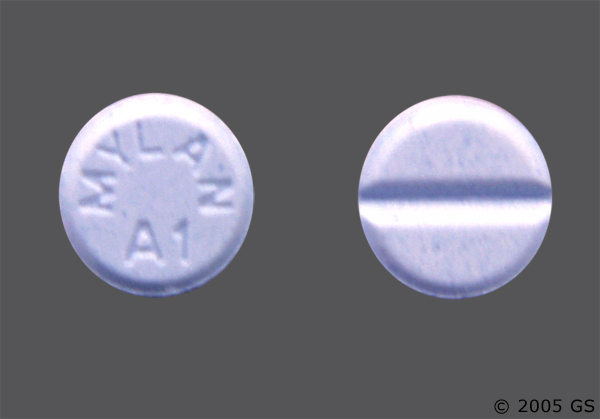 Alprazolam replaced the diazepam 10 days prior to admission. She was told to use 2 mg (3x daily), but she ended up using ~200 mg over the course of six days. Four days after running out, she experienced severe insomnia. She took 60 mg of zolpidem to overcome the insomnia, yet she developed hallucinations instead and presented in the emergency department (ED). She was hypertensive, hyperthermic, and tachycardic (130). She was suffering from shaking episodes. 14 hours after admission to the ED, she was found dead. 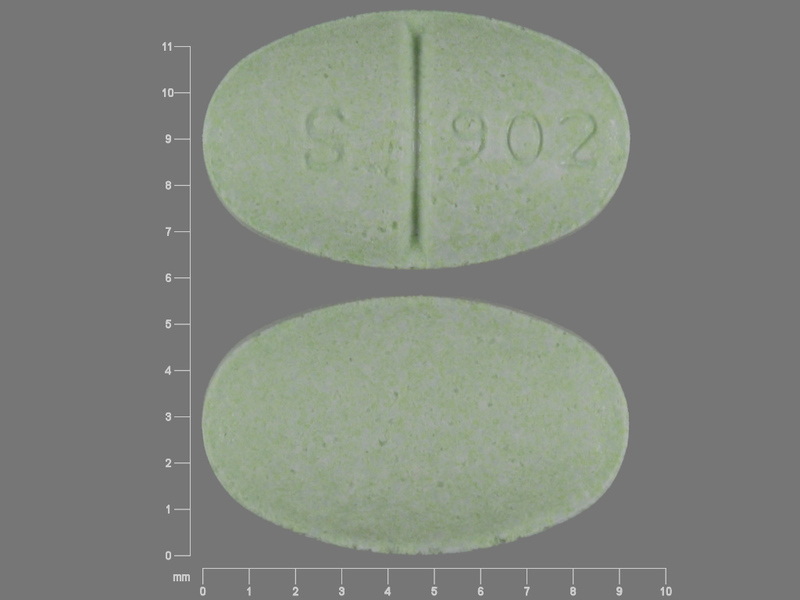 Initially it was believed to be a zolpidem overdose, but the final conclusion was that alprazolam withdrawal caused the death. 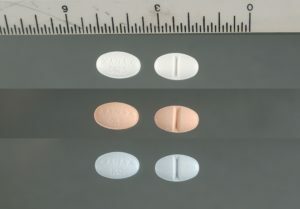 Other depressants, including ethanol, opioids, and benzodiazepines. Alcohol at moderate doses has been found to cause additive (not synergistic) impairment. Higher doses of alcohol cause synergistic impairment. The combination may also increase aggression and irritability. (2016) Motivational drive and alprazolam misuse: A recipe for aggression? (2015) Paradoxical reactions related to alprazolam. (2015) Temporal profile of brain response to alprazolam in patients with generalized anxiety disorder. (2014) Benzodiazepines: a major component in unintentional prescription drug overdoses with opioid analgesics. (2012) The role of alprazolam for the treatment of panic disorder in Australia. (2012) Characteristics of alprazolam-related deaths compiled by a centralized state medical examiner. 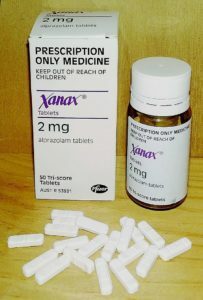 (2011) Efficacy of alprazolam sublingual tablets in the treatment of the acute phase of panic disorders. (2005) Pregabalin for treatment of generalized anxiety disorder: a 4-week, multicenter, double-blind, placebo-controlled trial of pregabalin and alprazolam. (2005) Acute effects of alprazolam on risky decision making in humans. (2005) Alprazolam-related deaths in Palm Beach County. (2004) Clinical pharmacology, clinical efficacy, and behavioral toxicity of alprazolam: a review of the literature. (2004) The acute effects of L-theanine in comparison with alprazolam on anticipatory anxiety in humans. (1997) Alprazolam in young and elderly men: sensitivity and tolerance to psychomotor, sedative and memory effects. 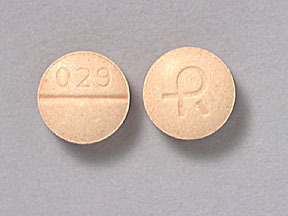 (1997) A fatality due to alprazolam intoxication. (1994) Pharmacologic effects and abuse liability of bretazenil, diazepam, and alprazolam in humans. (1993) Abuse liability of alprazolam relative to other commonly used benzodiazepines: a review. (1993) Alprazolam in panic disorder: a retrospective analysis. (1993) Clinical pharmacokinetics of alprazolam. Therapeutic implications. (1991) History of benzodiazepine dependence. (1991) Alprazolam versus buspirone in the treatment of outpatients with generalized anxiety disorder. (1991) Alprazolam and diazepam: addiction potential. (1990) Alprazolam use and dependence. A retrospective analysis of 30 cases of withdrawal. (1988) Pharmacotherapy of borderline personality disorder. 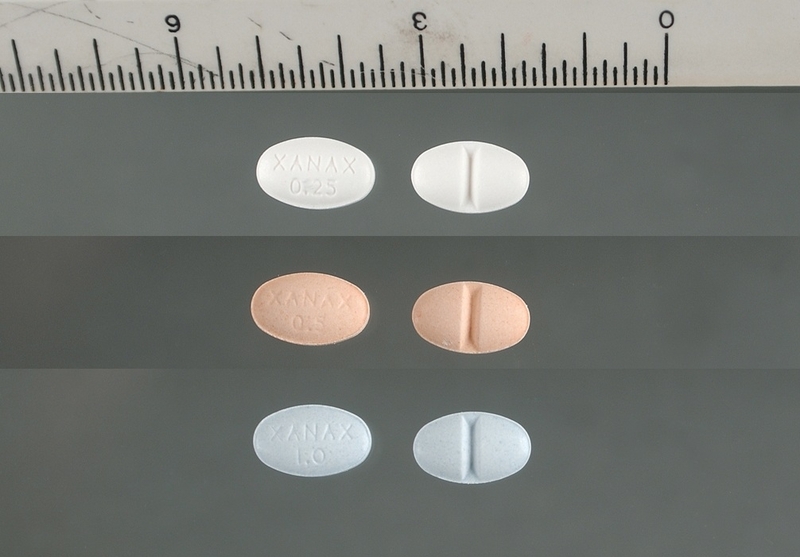 Alprazolam, carbamazepine, trifluoperazine, and tranylcypromine. (1988) Alprazolam in panic disorder and agoraphobia: results from a multicenter trial. I. Efficacy in short-term treatment. (1987) Pharmacology of the benzodiazepines; with special emphasis on alprazolam. (1986) Alprazolam-induced manic episode in two patients with panic disorder. (1986) Withdrawal syndrome with gradual tapering of alprazolam. (1985) Alprazolam withdrawal delirium unresponsive to diazepam: case report. (1984) Emergence of hostility during alprazolam treatment. (1984) Pharmacokinetics and pharmacodynamics of alprazolam after oral and IV administration. (1982) Alprazolam: pharmacokinetics, clinical efficacy, and mechanism of action. (1982) Alprazolam in the treatment of generalized anxiety and panic disorders: a double-blind placebo-controlled study.